(Above) Recently honored at the U.S. Green Building Council-Long Island Chapter’s Ninth Building Green Long Island Gala for their commitment to sustainable building are, from left to right, Matthew Palladino, representing E.W. Howell, recipient of the Lifetime Achievement Award, David Kilmnick, CEO of the LGBT Network, recipient of the LEED-er of the Year Award, and Paul Cataldo, lead architect for the LGBT Network’s historic state-of-the-art community center in Patchogue, scheduled to open in spring 2017. The 20,000 square foot “green” facility is a joint venture of the USGBC-LI and the LGBT Network, and will be the first in the region to provide a wide range of essential services to LI’s growing lesbian, gay, bisexual, and transgender (LGBT) community. 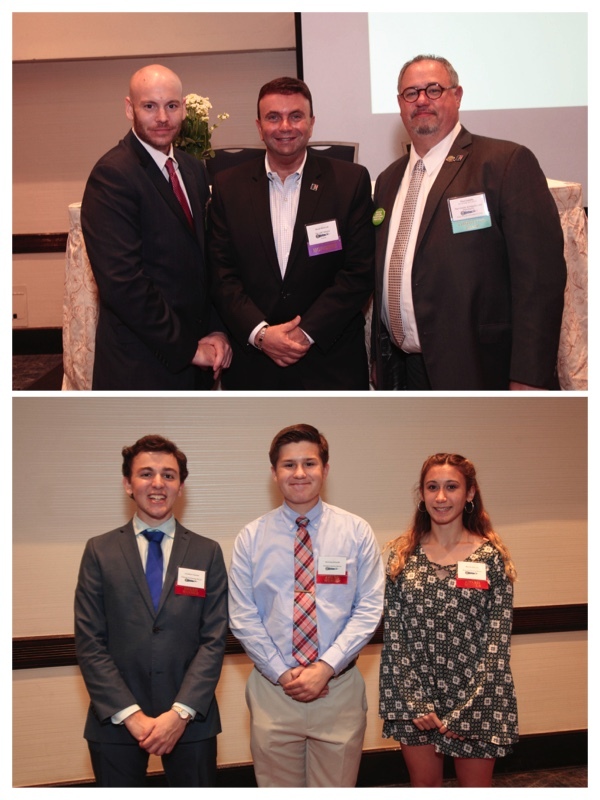 (Below) The U.S. Green Building Council-Long Island Chapter recently held its Ninth Annual Building Green Long Island Gala at the Hilton LI Huntington, where they awarded three scholarships to high school seniors who have demonstrated exceptional commitment to promoting sustainability in our community. Pictured are this year's scholarship winners: Platinum Award winner Jonathan Kapilian from Long Beach High School; Silver Award winner Marina DeLuca from Greenport High School, and Gold Award winner Nicholas Schleith from Chaminade High School.